Do you ever wish you could experience the wonder of Atlanta as if it was your first time here? Picture the excitement as you explored the possibilities around every corner. Don’t settle for complacency in a magnificent city such as ours! There are so many more experiences to be had and memories to be made on an Atlanta staycation. Here is how you can enjoy the trip of a lifetime without even leaving your hometown. Take a look at our elegantly designed guest rooms — that may be all the convincing you need! Make some time for each other this year, whether that involves hiring a babysitter, using your PTO days, or just dedicating a full weekend to rekindling that flame. There’s no better place to enjoy time together than at Stonehurst Place. 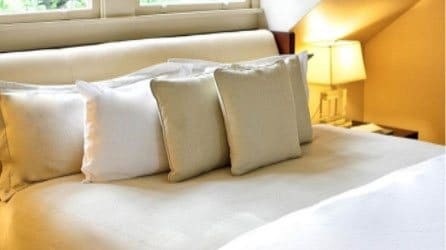 When you arrive at our Midtown Atlanta bed and breakfast, you can immediately feel the love in the air. From the stunning gardens to the welcoming decor inside, our peaceful atmosphere cultivates relaxation and romance. If you’d like to pair our elegant accommodations with a fine dining experience, we invite you to enjoy a Gourmet Getaway together! It’s the best way to complement your romantic Atlanta staycation. Why spend extra money when you don’t have to? Save yourself from outrageous airline fees and look closer to home for your next destination. You can put your savings toward even more remarkable activities that you won’t soon forget! Plus, who wants to worry about travel delays ruining an ideal trip? Get more out of your vacation from start to finish. You can enjoy an incredible deal on your Atlanta staycation with our Direct Booking Discount! You don’t need to go far for luxurious accommodations, top-notch service, and unforgettable experiences. We meticulously renovated our 19th-century mansion to preserve historical elements while incorporating modern amenities and comfort. Our extensive travels abroad serve as the inspiration to maintain an unparalleled guest experience right here in Atlanta. You may lose yourself in the paradise we have created and feel like you’re overseas at an Italian villa! Step inside to find original, museum-quality artwork on the walls, an elegant dining room accented by a shimmering chandelier, and a piano room with sophisticated decor. That’s all before you even reach your room! We are much more than a typical hotel. A stay at Stonehurst Place is an unforgettable experience in itself. Take a look at our services and amenities and see what we mean. 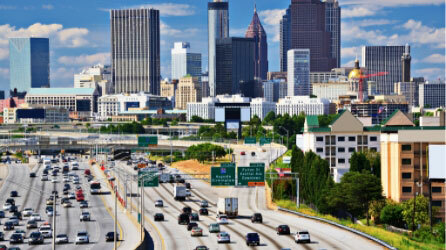 Even when you think you’ve seen and done everything in Atlanta, there’s more to explore! Have you ever enjoyed the view from the SkyView Atlanta Ferris wheel? Or, maybe there’s an upcoming concert with your favorite artists! Feel free to explore the new walking trails along the Atlanta BeltLine, see what’s in bloom at the Atlanta Botanical Garden, or browse recent exhibits at the Georgia Aquarium and local art galleries. There are endless ways to break out of your routine and do something different here! You can even fall in love with Atlanta all over again with a leisurely bicycle tour. Put your plans into action and experience something remarkable this year. There are more things to do in Atlanta than you may realize, and a stay at Stonehurst Place is the best way to enjoy them! Consider our Master Suite for an exceptional atmosphere you can’t find anywhere else. This spacious suite lets you spread out, relax on your king-size bed, and unwind with a glass of wine by the fireplace. You can even get a unique viewpoint of the city’s skyline from your window! Take the next step and book your stay today!